"Is that real or artificial?" Here's today's advent cartoon. 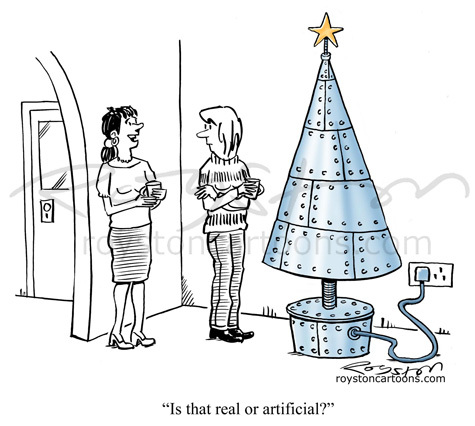 This one is so far unsold, but I had fun drawing the absurdly artificial Christmas tree. I like that tree, so I've stolen the design- you'll see it in the shops next year. Assuming it is any more successful than the cartoon was, I will demand a cut.